It's here. Grab Your Fork can finally reveal the centralised list of prizes gathered by the Asia Pacific region for Pim's annual Menu for Hope campaign. UPDATE (20 DEC 06): Want to know how you can improve your odds of winning a raffle prize? Click here. Last year this innovative online campaign raised US$17,000 for UNICEF in just twelve days. This year we are raising funds to support the United Nations World Food Programme and hope to raise much much more. 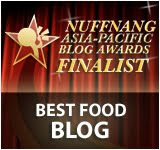 The prizes listed below have all been donated or sourced by foodbloggers across the Asia Pacific region. The generosity of individuals and businesses has been heartfelt and amazing. We hope to continue this spirit of goodwill by encouraging you to purchase raffle tickets for the prize/s you are interested in. Go to the donation page at http://www.firstgiving.com/menuforhopeIII. Make a donation. Each US$10 will grant you one raffle ticket towards a prize of your choice. Please use the unique prize code to specify which prize or prizes you'd like in the 'Personal Message' section in the donation form. Do tell us how many tickets per prize, and please use the prize code eg. a donation of US$50 could be 2 tickets for AP01 and 3 for AP02. For US donors, if your company matches your charity donation, please remember to check the box and fill in the information so we may claim the corporate match. Please check the box to allow us to see your email address so that we could contact you in case you win. Your email address will not be shared with anyone. Raffle ticket sales end on December 22, 2006. Check Chez Pim on January 15, 2007 when we announce the results of the raffle. Prize drawing will be done electronically. Our friend, the code wizard Derrick at Obsession with Food, is responsible for the wicked application that will do the job. Please check quarantine restrictions for your country before bidding on any food products. The full round-up of prizes worldwide can be found on Chez Pim here. The links to "more info" will be gradually updated to direct you to bloggers' specific posts on their individual prizes as they are progressively published. BRISBANE: Dining voucher for AU$200 kindly donated by Baguette Restaurant: enjoy classic modern Australian fare with Asian and European influences at this picturesque bistro owned and run by the Domenech family for nearly 30 years. kindly donated by Felix, a Hong Kong landmark on the 28th floor of The Peninsular Tower. Designed by Philippe Starck, it's as famous for its killer interiors and views as it is for its food. Felix's new chef, American Jason Oakley, has a stunning pedigree. Formerly from the French Laundry and Alex at Wynn's Las Vegas, Oakley's own contemporary cuisine is putting Felix back on the culinary map. KUALA LUMPUR: RM500 dining voucher kindly donated by El Cerdo in Tengkat Tong Shin, Kuala Lumpur, Malaysia. Chef Werner is at the helm of El Cerdo which specializes in porcine delights, and Babe thoroughly recommends the pork knuckle for two: "It's slightly different from the usual knuckle; the skin is rubbed and topped with herbs and garlic so in addition to being crispy, there is a fragrant herb aroma with a subtle hint of garlic. It tastes just wonderful." MELBOURNE: Win a AU$50 dining voucher kindly donated by Chilli Padi, Melbourne Central (two vouchers available in separate raffle draws). Feast on modern Asian cuisine or try their ever-popular Chilli Malam to satisfy cravings for a late night feast of hawker-style food. NEW! 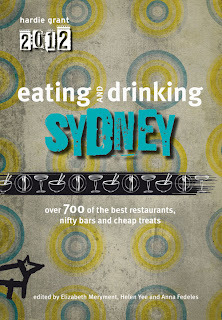 MELBOURNE: Win a AU$150 dining voucher kindly donated by Gingerboy. Savour all the sweet, sour and chilli bite expected in Asian food and just the right amount of kick. "The chilli might sting your aunty but it won't ruin your date," says Ed. Gingerboy has a great cocktail list and really bustles, even on a Tuesday lunchtime. With a somewhat pricey menu, this is your chance to experience it for the price of a raffle ticket. MELBOURNE: Degustation dinner for two with matching wines* kindly donated by Interlude (valued at AU$400). British chef Robin Wickens worked in a number of top London restaurants including Pied a Terre, Bibendum and The Glasshouse before arriving in Melbourne in 2000. Awarded "Best Young Chef" by the 2005 Age Good Food Guide, Interlude offers modern French with innovative twists. *Please note Winning voucher not valid on Saturday evenings. PHNOM PENH: Dinner at Romdeng in February 2007 accompanied by Karen Coates, author of Cambodia Now. Karen is keen to take you to Romdeng, a fantastic, elegant nonprofit restaurant serving classic Khmer food. Run by the NGO Mith Samlanh (Friends), this program helps street kids in just about every aspect of life. The Romdeng staff all came from the streets, and they're learning to work as chefs, waiters and waitresses. 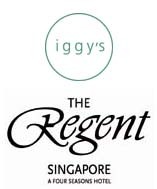 SINGAPORE: Dining voucher for four with wines kindly donated by Iggy's (valued at S$1200). An intimate 28-seater on the third floor of the Regent in Singapore, Kevin Gould from The Guardian considers it "the subtlest, most satisfying east/west cuisine" he's ever eaten. SINGAPORE: Weekend stay in a suite plus dining voucher kindly donated by The New Majestic Hotel. This cutting-edge boutique hotel offers 30 different rooms each designed by upcoming Singaporean artists. The Majestic Restaurant offers modern Cantonese. This is hip, funky and utterly chic. kindly donated by Becasse Restaurant (valued at AU$320): 'Restaurant of the Year' and with two hats awarded by the Sydney Morning Herald Good Food Guide 2007, head chef Justin North and the team at Becasse serve Modern French food in warm yet elegant surroundings. The Swarovski crystal chandeliers are something else too. kindly donated by Ocean Room: head chef Raita Noda promises modern coastal cuisine with Japanese and Mediterranean influences using only supremely fresh seafood. You have to go just to check out his amazing fishtanks! NEW! SYDNEY: Dining voucher worth AU$200 kindly donated by Perama. Enjoy the various tastes of Greece through the ages. Head chef David Tsirekas is happy to design a menu for you and match it with some of the best boutique wines in Greece; or choose your own, from a menu that includes the Moorish flavours of the Byzantine and Ottoman Empire, with dishes like Honey Peppered Figs or Pork Belly Baklava with Date and Mastic Sauce. They also offer caramel baklava ice cream and their olive oil ice cream is unbelievably tasty. kindly donated by Tetsuya's: Wakuda Tetsuya is renowned for his progressive state-of-the-art dishes that marry Japanese philosophy with classic French technique. Tetsuya's was recently awarded 5th best restaurant in the world. An amazing dining experience. Tetsuya promises that he'll prepare a very special meal for the winner. kindly donated by Razorsharp. Both knives are made in Seki city, Japan, famous for its knifemaking expertise, with superb cutting edges that stay sharper for longer. kindly donated by Truffle Food & Wine. An emporium of hard-to-find imported gourmet goodies, this is your chance to treat yourself to Nielsen Massey vanilla extracts, Poddi Tartufi truffle products and more. Please note that shipping cannot be made to post office boxes or addresses outside of New Zealand. Half-kilo bag of Cambodian Kampot peppercorns kindly donated and sent straight to you by Phil. Describing pepper as decadent seems to be something that was lost in the High Middle Ages; a decadence that the manganese rich soils of Kampot have managed to retain. "Never in my life have I been tempted to eat a spoonful of unadulterated peppercorns straight out of their plastic bag," says Phil. The vacuum-packed bag will be posted straight from Kampot, and if you're in Phnom Penh, he will also add a meat tray to the value of 80,000 riel or your choice of Cambodian beer to the same value. kindly donated by Malfroy's Gold (valued at AU$30). This new company has been set up by a migratory bee-keeping family, and although based in the Hawkesbury/Blue Mountains region they move 1000 hives all over the state to find the best 'honey flow' for their bees. All products are 100% natural and made only from what their bees produce. Specialists in pure Eucalyptus honeys, they also sell premium raw beeswax 'bullions' - perfect for use in furniture polish, woodworking, candle making, and natural cosmetics. 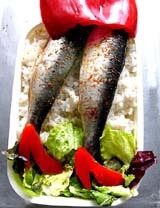 If you pick up your prize from their stall at the Blackheath Farmers Market, they'll throw in something extra as well! kindly created and donated by Santos (valued at US$60). This personally created kit includes a selection of seasonal cupcake liners, mini espresso cups, mini cutters, a set of three decorating icing tips with disposable plastic cones, food colour gels, various sugar decorations (including edible glitter, coarse sugars and shapes), chocolate sprinkles and nonpareils, and other edible novelties. Photo courtesy of Santos. kindly created and donated by Santos (valued at US$60). This personally created kit contains a copy of Eric Gower's "The Breakaway Japanese Kitchen" cookbook, one bento box container, a set of chopsticks in a handy travel case, and various essential bento supplies like decorative cups and papers, plastic soy sauce containers, mini cutters and rice molds. Photo courtesy of Santos. kindly collected and donated by Chika who is currently traveling through the US and Europe. Your sampler set will contain 5 or 6 exquisite plain dark chocolate bars, each 2-4 oz / 50-100 g with minimum 70% cacao, from selected American and European chocolatiers. 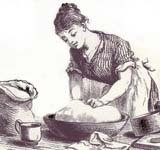 These may include such devoted chocolate makers as Recchiuti Confections of San Francisco, US, and Bonnat of Voiron, France. She will also include one or two extra tasting pieces of milk, white or flavored chocolate. 'Boite a biscuits' tin French storage tin filled with trinkets kindly donated by Y. This adorable little biscuit tin was purchased from The Bay Tree (value AU$45) and will be filled with a surprise selection of handpicked items, mostly biscuit-related and will also include things like Y's favourite tea. NEW! Tonfisk designer ceramic teapot and tea kindly donated by T Connection (valued at S$195). This stylish Tonfisk teapot exudes Scandinavian elegance - all Tonfisk products are handmade in their workshop in Helsinki, Finland. The oak veneer-wrapped holder allows you to handle the teapot easily and helps keep your tea toasty warm as well. Test it out straight away with a cup of T Connection's Sunset Boulevard blend of loose leaf Earl Grey tea - the pack provided will provide many afternoons of sipping bliss. NEW! $100 voucher kindly donated by Koko Black. Founded by Shane Hills, Koko Black produces some of the best chocolates in Melbourne. Their hot chocolate has been voted the best in Melbourne by the Herald Sun but that's not all they do well--the house truffles are on the favourites list for locals too. With three stores in Melbourne to choose from, there's plenty of choice and opportunity for the discerning chocoholic. kindly made by tankeduptaco to an authentic Polish recipe, with only the care and attention a dedicated foodie could give. Made from sun-kissed sour cherries, sugar and a mixture of distilled spirits, this liqueur is the essence of cherries with a distinctive cherry kernel flavour. Fantastic by itself or even drizzled over ice cream, it is the perfect liqueur for every occasion and valued at over AU$50. Photo courtesy of Tomato. AU$100 gift voucher kindly donated by The Prince Wine Store, one of the more serious wine shops in Victoria, Australia, with tastings of local and imported wines every weekend. Up-and-coming wineries are featured along with established stars, and their imported wine list is second to none. Wine education courses are available as well as special wine dinners, often with the winemakers. 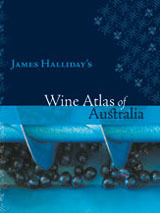 Reference book: Wine Atlas of Australia by James Halliday kindly donated by Hardie Grant Books (valued at AU$79.95). This is the first book to comprehensively map all the wine regions – and there are over seventy – in Australia. A definitive work on Australian wine by one of the country's top wine writers, Halliday examines the types of grapes grown, soil, climate and winegrowing history, and also introduces the most famous and respected wineries, winemakers and their signature wines. A collection of 7 cookbooks and travel books kindly donated by Editions Didier Millet. The set includes: Hot Chefs Hip Cuisine (original recipes from from 34 of the world’s most daring chefs, including Charlie Trotter, Ferran Adria, Michel Troisgros, Gordan Ramsay and Tetsuya Wakuda); New Chinese Cuisine (chronicling how the chefs at the respected Tung Lok Restaurant group are revamping classic dishes from Sichuan, Hunan, Beijing and Canton); The Six Senses Cookbook (featuring innovative fusion cuisine from resorts and spas in the Maldives, Thailand and Vietnam); and four books from the the Chic series: Shanghai Chic, Singapore Chic, India Chic, and South Africa Chic (history, culture and reviews and listings of each desination's coolest hotels, restaurants, spas, shops and bars). Cookbooks: Let it Simmer by Sean Moran and Where the Heart Is by Karen Martini (value AU$110) kindly purchased for donation by stonesoup. Karen Martini is known to many for her weekly cooking features in Sunday Life magazine and her regular segment on Better Homes and Gardens. 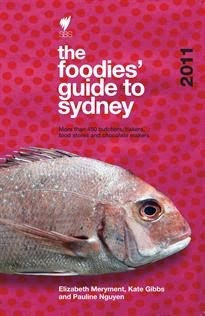 Sean Moran is the head chef and owner of Sean's Panorama at Bondi. Unique personalised food history for the winner's day of choice kindly crafted by The Old Foodie. This would include commentary on food-related historic events for the day, at least one historic menu and a selection of old recipes that fit the various themes. It would be anything from 4-8 pages, and could be emailed or mailed. A uniquely personal birthday treat for yourself or a food-loving friend. 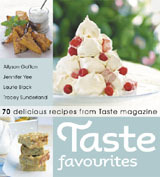 (valued at NZ$35) kindly purchased for donation by winosandfoodies: a compilation of 70 recipes that includes easy finger foods, recipes for entertaining and plenty of ideas for mid-week meals, baking and desserts. 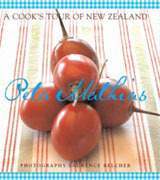 (valued at NZ$59.95) kindly purchased for donation by Arfi: a food lover's tour of New Zealand with an A-Z of favourite producers and suppliers, and accompanied by recipes and beautiful photos. 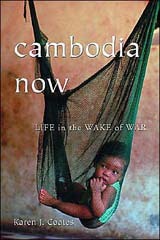 Non-Fiction: Cambodia Now: Life in the Wake of War, signed and donated by the author Karen Coates, a freelance journalist who is an Asian correspondent for Gourmet and author of Rambling Spoon. Reviewer Andy Brouwer describes Cambodia Now as "a must-read for anyone seeking to delve below the flimsy veil of idyllic Cambodian life that most of the tourist hordes see and believe is the real Cambodia." 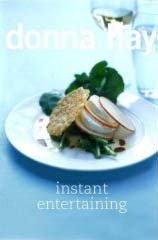 Cookbook: Instant Entertaining by Donna Hay (valued at AU$49.95) kindly purchased for donation by Anh: this latest cookbook from Donna Hay offers simple yet stylish recipes to cover a range of occasions. Impress your dinner guests with modern dishes that look great on the plate but don't take hours to create! Cookbooks: Set of six mini books on Malaysian cuisine kindly donated by Babe. Published by Periplus, this set includes: Malaysian Favourites by Wendy Hutton; Malaysian Cakes and Desserts by Rohani Jelani; Nyonya Favourites by Lee Geok Boi; Eurasian Favourites by Wendy Hutton; Homestyle Malay Cooking by Rohani Jelani and Delicious Asian Seafood by Lee Geok Boi. Cookbooks: Two books with a Nyonya theme kindly donated by Babe. Nyonya Flavours: A Complete Guide to Penang Straits Chinese Cuisine is jointly published by The State Chinese (Penang) Association and Star Publications (M) Bhd showcasing the history, cuisine and recipes of Penang Nyonyas. 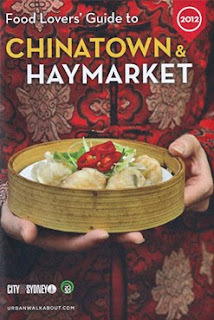 The second book, Hawker's Kuih-Muih Favourites, published by Famous Cuisine, is a bilingual edition in Chinese and English. Although not specifically Nyonya, the abundance of cakes and sweets is fitting. 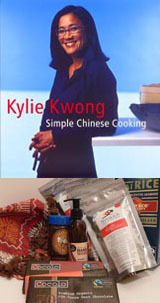 Cookbooks: Two cookbooks on vegetarian cuisine kindly sponsored by Babe's hubby KK. Azrah Kamala Shashi's Vegetarian Feasts (Celebrity Chef's Cookbooks series) is published by Times Edition and includes mouthwatering Chinese, Indian, Malay, Thai and Western recipes. 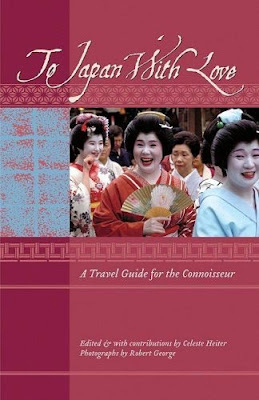 Also included is Over 80 Great Vegetarian Cuisines published by Famous Cuisine, a Chinese-English bilingual edition that focuses mainly on Chinese style vegetarian fare. kindly donated by Robyn. Printed in both English and bahasa Malaysian, this compilation by the wife of the Pahang Crown Prince features 155 recipes from 11 districts of Pahang state. Richly illustrated with photographs and accompanied by unusual and delicious recipes not published elsewhere, this hardcover book is perfect for the coffee table and a must-have for anyone interested in regional Malaysian cooking. 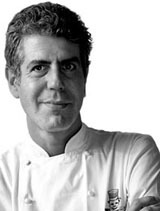 Non-Fiction/Cookbooks: Autographed set of four books by Anthony Bourdain including Nasty Bits, A Cook's Tour, Kitchen Confidential and Anthony Bourdain's Les Halles Cookbook. If you have yet to be acquainted with the no-nonsense style of writing by Bourdain this is your chance. If you have, I bet you don't have an autographed copy! 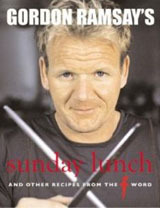 Non-Fiction/Cookbook: Sunday Lunch by Gordon Ramsay kindly donated by Hardie Grant Books (valued at AU$45). Ed says "What surprised me [is] this really is a practical down-to-earth cookbook. Lots of books from top-rated chefs border on the pretentious and suffer from requiring too many difficult-to-search-out ingredients. Not this one. It's brilliant." NEW!Cookbook: Menu Degustation - Tasting Menus of New Asia Cuisine by Anderson Ho kindly donated by Joone (valued at US$30). Singaporean chef Ho is famous for his innovative splicing of Eastern and Western technique. Perhaps you live too far from his restaurant Le Papillon to visit, but you can certainly live vicariously through this degustation-style cookbook which includes recipes for green pea cappuccino with green tea sorbet, and Earl Grey tea ice cream with churros. UPDATED! SYDNEY: Complimentary place in the six-week Writing About Food short course (valued at AU$345) hosted by acclaimed food journalist John Newton and kindly donated by the UTS Centre for New Writing. This six-week program is a perfect introduction to food journalism and food writing, with a feedback component for student assignments. Please note This prize is valid for the first 2007 session of this program commencing Tuesday January 30. Classes will be held every Tuesday 6pm-8pm 30 Jan-6 March at the UTS City Campus near Railway Square, Broadway. MELBOURNE: Biscuit tin containing a voucher for a midweek Retreat Facial kindly donated by Bodyfreedom Urban Retreat (valued at AU$120). This 75-minute luxury pampering includes a cleansing footbath, relaxing back and neck massage, and facial (deep cleansing, double exfoliation, skin type-specific mask and lymphatic drainage face massage) before your body is gently rewoken with ritualistic Balinese body palming as well as a scalp and feet massage. NEW! Creative Zen V Plus 2Gb mp3 player kindly donated by ST. Perfect to store and display all your food photos, you can also play all your favourite tunes whilst you cook, or watch videos whilst you wait in the supermarket queue. Features a 1.5 inch full colour OLED Display, built in FM radio and many other features, packed into a tiny device that will fit inside almost any pocket. ST will also include a mystery food-related bonus: it may be a cookbook, tools or food. Thanks Helen for hosting this meaningful event! Hopefully my post on this event will be online at end of today. What a beautiful job you did on this. Let's hope we will raise a huge amount of money. I'm already eyeing on some goodies here. Thanks for hosting Helen. Thanks for doing this Helen! The time involved must have been incredible. I have popped my post up and 'fessed my slackness to the world. Now I just need to narrow down the prizes I'm keen on! Well done for organising Helen, boy that must have taken some work. I'm just posting about it on my blog and am seriously coveting a number of those prizes. Well done to all involved. Woo hoo, some of those prizes are really going off. Looks like Ruth Reichl just donated $500 without asking for a prize! Hi Anh - Thanks for participating. I'll be updating everyone's post links shortly. Hi Kalyn - Thanks. It almost makes that 4am bedtime seem worth it! The coffers are going crazy. It's all so very exciting! Hi David - It's a varied mix which is fantastic and it was so inspiring to receive so much support from bloggers and local businesses. Hi Plum - Buying tickets is just as important! Good luck with and really, everyone's a winner for participating! Hi Kathryn - It's all for a good cause, but yes, a newbie handcoding table html was lotsa fun. lol. There are so many good prizes aren't there? Testament to the fantastic support by all. Hi Neil - I'm constantly staggered everytime I check the page. It's crazy! And yes, I wonder if that really is Ruth? Could be! 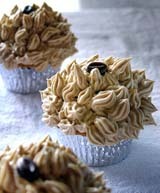 I did also post about it and I hope that lots of my friends will be tempted by those goodies! Hi Eva - Thanks for spreading the word. There are so many great prizes aren't there? Thanks for hosting this and representing our part of the world! I'm glad that at least there's one prize from HK. Hopefully, there'll be tons more for next year. What a great event and cause.